God is rearranging the global population! Around the world, more than 12 million people move into cities every month. The global urban population is expected to double to 6.4 of 9.1 billion by 2050, representing 70% of the world’s population. Many of these transplants are moving from villages with a strong ratio of churches to residents to urban areas with fewer churches to serve their booming communities. Movement Day serves to reach this population by spreading the Gospel to these cities, convening leaders to address today’s urban issues and catalyzing them to collaborate through Christian unity. What started almost a decade ago in New York City as The New York City Leadership Center has become Movement.org, a global movement with expressions held across five continents, including North America, Africa, Asia, Australia, and Europe. By the end of 2018, we will have experienced 30 Movement Day gatherings for over 20,000 leaders from over 400 cities and 100 countries with the number of new expressions accelerating. Through expressions in large cities, backed by year-round gospel movement, Movement Day accelerates partnerships between ministry, nonprofit and marketplace leaders across urban environments, breaking down barriers between sects and congregations, often healing longstanding wounds as we unite city leaders to work together to unite families, improve education, aid refugees, reduce poverty and alleviate other overwhelming issues facing today’s cities. 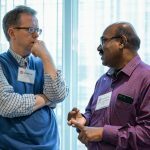 From Charlotte to Mumbai, we work with leaders to transform the lives of the marginalized, help local churches integrate and expand to reach new individuals and build city-wide networks to develop and connect leaders. All of these expressions reinforce our mission: to catalyze leaders to spiritually and socially impact their cities through rigorous research, uniting prayer, unified local leadership, and powerful collaboration between diverse sectors. 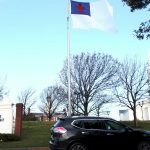 And our passion is to see the unity of God’s people have a Kingdom reverberation in every city and region around the world. Our vision is clear: Every global city flourishing spiritually and socially.